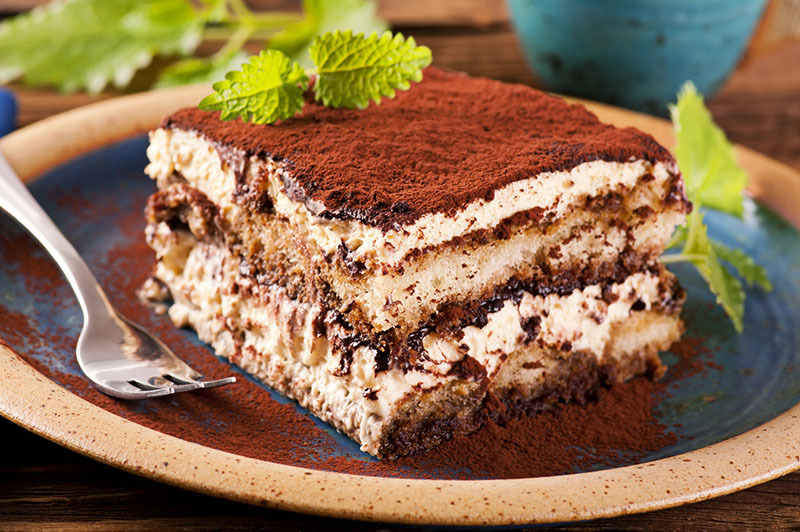 Tiramisù (from Italian, spelled tiramisù [tiramiˈsu*], meaning “pick me up” or “lift me up”) is a popular coffee-flavored Italian dessert. 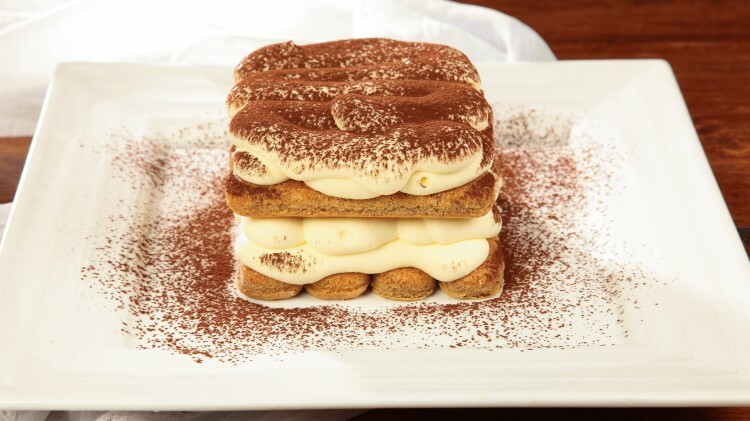 It is made of ladyfingers (Italian: Savoiardi, [savoˈjardi]) dipped in coffee, layered with a whipped mixture of eggs, sugar, and mascarpone cheese, flavored with cocoa. 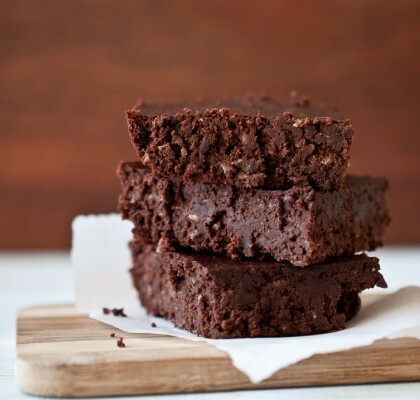 The recipe has been adapted into many different varieties of cakes. 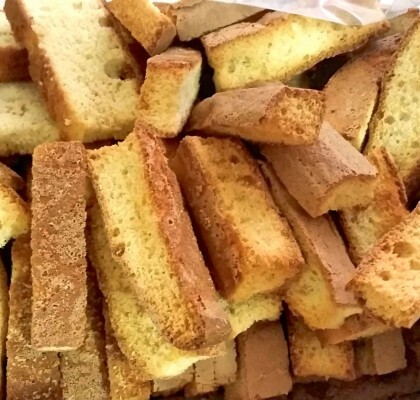 There are different legends about this dessert and the origins are quite uncertain because each region in Italy would claim to have “invented” this popular Italian delicacy. Its origins are often disputed among many Italian regions such as Tuscany, Veneto, Friuli Venezia Giulia, Piedmont. 1. In a bowl beat the egg yolks with the sugar until the mixture becomes foamy and light. 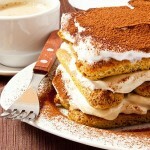 Add the mascarpone and two shot glasses of Grand Marnier. 2. 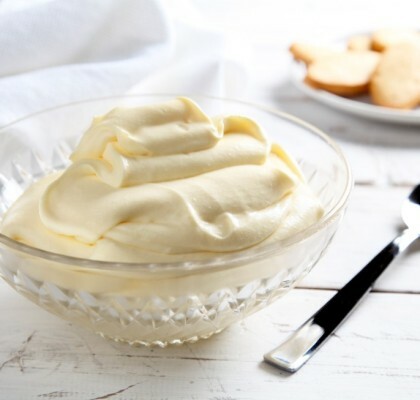 In another bowl, preferably high, mount the egg whites until stiff and gently fold egg whites, from top to the bottom, into the mascarpone mixture. Prepare the coffee and keep it in a large bowl. 3. 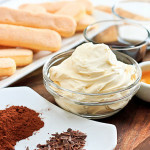 Cover the bottom of a ceramic dish with 3 tablespoons of mascarpone sauce, wet the biscuits into the coffee quickly, put into the glass dish and cover the first biscuits with one-third of the mascarpone mixture. Repeat layers 2 times, ending with the cream. Cover with plastic wrap and refrigerate for at least 2 hours. 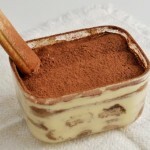 Before serving, dust generously with cocoa powder.